Dodging the Bullet: Packing for a new beginning | The Gettysburgian. Yes, my mother said that to me, and yes, organization has never been my strong suit, although it is certainly an attainable characteristic as I start with a new slate in a new state. Sharing a room with my two sisters for the past eight years has prepared me for tight quarters, but believe me, I still went to the ultimate organization website: Pinterest. 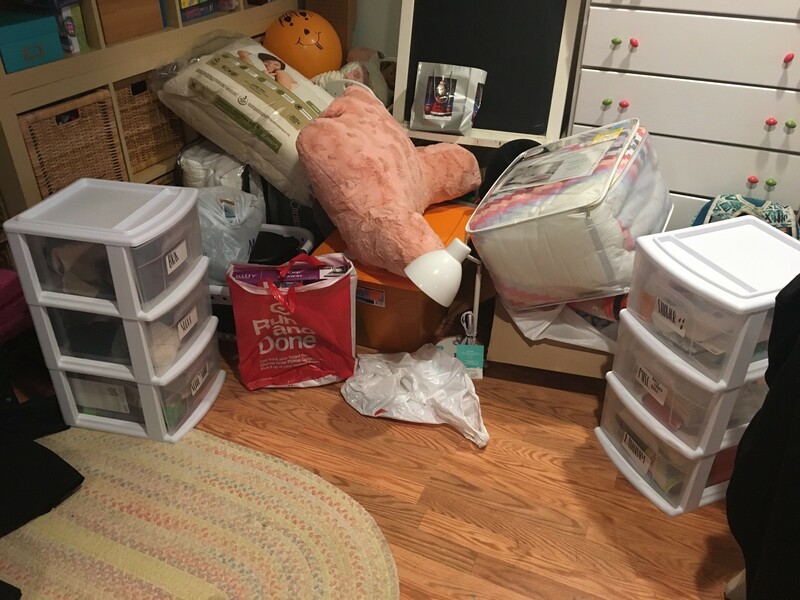 Many labels and colored markers were purchased as the small mountain of “dorm room essentials” slowly built in the corner of my basement. But who knew it would take so many things to live? No longer will my mother be there to buy my toothpaste or my dad to remind me to take out the trash. This is a transition for all of us and no matter the preparation or amount of advice from parents, RAs, and upperclassmen, we all will have to learn how to live on our own. Just remember that does not mean we are alone. We the Class of 2022 can all support one another. This orientation week, let’s take the time to show our neighbor how to do laundry, accept their help in folding a fitted sheet, and even search Youtube with our roommates for organization tips. Packing for move-in day is only the start: welcome Class of 2022 to our new home!